Confession time: chocolate cake is a vice of mine. Like a really big weak spot. Truth be told, there was a time about 14 years ago when I’d go to the local grocery store and buy myself a small cake to enjoy throughout the week. Because I do believe that moderation is key. But then I had to become gluten free, and then I had to go grain free and I thought my cake days were over. Spoiler alert: they are not! And if you love a good cake just as much as I do, yet you can’t do gluten or grains, you’ve come to the right spot. 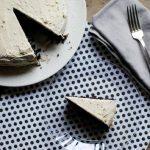 Because I’m sharing a recipe for a unique dessert with a secret ingredient, which you’ll never be able to taste: Quinoa Chocolate Cake with Buttercream Frosting. Quinoa contains all of the nine essential amino acids, making it an ideal protein for vegetarians and non-vegetarians alike. There are many different kinds of quinoa, but the most common are red, black, tri-color. Quinoa flakes and flour are also popular and readily available. Feel free to use any of the types of quinoa just mentioned in this cake; you’ll just need to make sure it’s cooked. Cooking quinoa is simple. You’ll need a 2:1 ratio of water/liquid to quinoa. Rinse in a fine mesh sieve for a few minutes; then bring the water/quinoa and a pinch of salt to a boil. Cover and reduce heat to simmer. Cook for 15 minutes, uncover and fluff with a fork. Cake pans. I used two 8 inch round cake pans so that we could frost the middle. You could make one cake in a 9 x 11, but you’ll need to adjust the bake time to 40-45 minutes. A blender. I use a Vitamix high speed blender and have had it for 7+ years now. 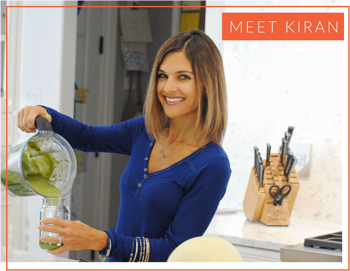 It’s well worth the investment, as you can use it for soups, smoothies, batter, nut butters and so much more. A quality oil spray. Chosen Foods makes my favorite oil spray, because it’s non-GMO, propellant-free and has a high smoke point – oh yeah, it’s perfect for baking, too. Instant espresso powder. Not necessary, but I love how it pulls out the chocolate flavor nicely. Coconut sugar. You can use regular cane sugar if you prefer, but coconut sugar has a lower glycemic index, a measure of how quickly a food raises your blood sugar levels, making this a healthier dessert if you use coconut sugar. Quinoa. Hello! it is the star of the show here. I always buy organic quinoa. Decadent quinoa chocolate cake is a flourless, gluten-free grain-free dessert that's fancy enough for celebrations, yet tasty enough for an everyday treat. Blend quinoa, butter, eggs, milk, and vanilla extract together in a blender until smooth. Combine sugar, cocoa powder, cinnamon, espresso powder, baking powder and baking soda together in a large bowl. Stir quinoa mixture into sugar mixture until batter is well combined. Fold chocolate chips into batter; pour into the prepared pan. Bake in the preheated oven 22 minutes and/or until a toothpick inserted in the center of the cake comes out clean. Cool before removing. Cake must be completely cooled before frosting. Cream room temperature butter with a hand mixer, the paddle attachment of a stand mixer, or a wooden spoon until smooth and fluffy. Gradually add and beat in confectioners sugar until fully incorporated. Beat in vanilla extract. Add milk and beat for an additional 3-4 minutes, scraping bowl as needed. Is it dairy-free? No, it is not dairy free. I personally don’t have an issue with butter so the frosting and butter within didn’t bother me. 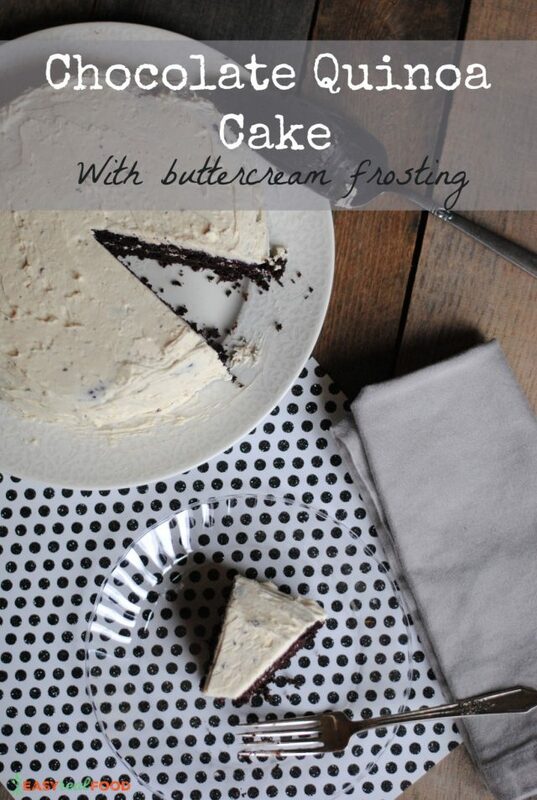 You can sub the butter in the cake with coconut oil and use a dairy-free milk to make the cake itself dairy free. Can you taste the quinoa? NO! Believe it or not, it gets pulsed really well in the blender and you won’t taste it. Should I store it in or out of the fridge? I personally love cold chocolate cake, so that one’s a no-brainer;). Do I need the frosting? Well of course you don’t “need” it, lol. It’s definitely tasty with it and it does ad some sweetness, but instead you can serve the cake with whipped cream and berries or simply top it with some powdered sugar. I have found that this cake only gets better with time. It was yummy the first day, but even better the next. 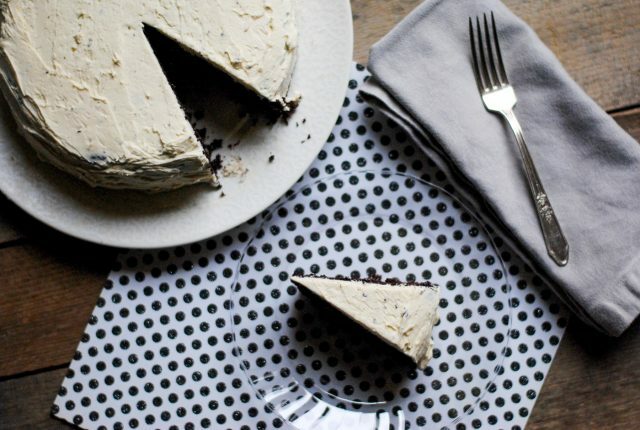 I hope you love this grain free cake as much as we do! And for two other grain-free options, be sure to try my banana cake with banana flour or another favorite: gluten free cake pops. Enjoy! Wow. This sounds so delicious! I’ve never made a cake out of quinoa before. I’ll have to give it a try! In the directions you mention applesauce but it is not listed in the ingredients. How much applesauce? I am looking forward to making this! Apologizes! and good catch:). Initially I had applesauce but I made it without and it didn’t need it. I adjusted the recipe. Hope you love this! This looks fantastic! Such an amazing idea to use quinoa, I have to try that. Quinoa is a fun twist! Wow, what a cool recipe! Very intrigued by quinoa in place of flour! Would that work in a quick bread as well? You know, I haven’t tried it but I’m looking forward to experimenting with it. I’m intrigued since it’s a grain-free option, and I can’t do grains. I’ll reply when I try it! This looks SUPER tasty!! I love how you used cooked quinoa!